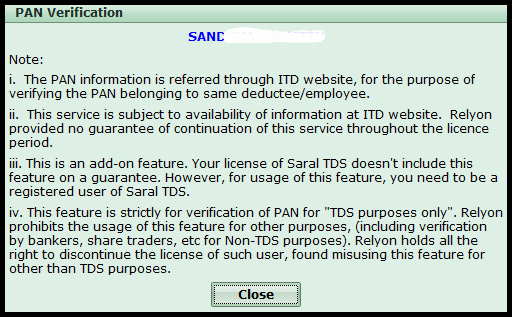 Hello, in this post we will discuss the process of PAN verification in Saral TDS both single and in bulk. PAN verification is a mandated process in return filing to avoid defaults rising out of the Wrong PAN. 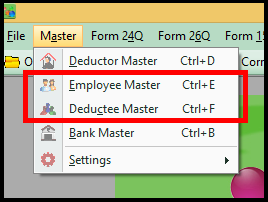 To verify the PAN of each deductee / employee wise, go to Deductee / Employee Master under Master menu. Next, enter the deductee details along with the PAN of the Deductee / Employee. After entering the details, select the option required for verifying the PAN. Note: PAN Verification can be carried out through two portals. 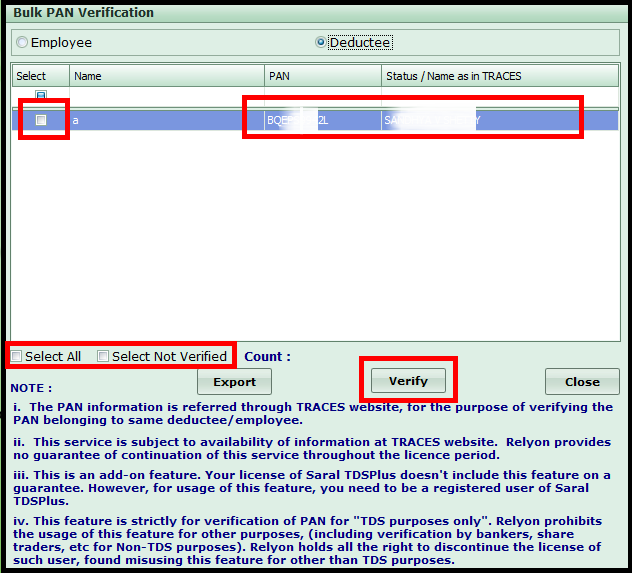 TRACES – PAN will be verified through TRACES and if found valid, the name of the PAN holder will be displayed. 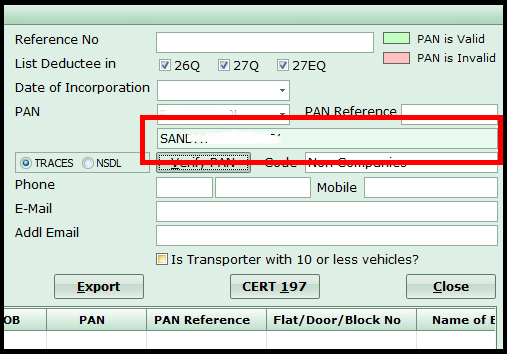 NSDL – PAN will be verified through NSDL and on validation, a note of same will be displayed. The user has to select the option based on their requirement. Also, TRACES required TRACES login credential for verification. The TRACES Account window will be displayed. Enter your TRACES login credentials and click on Continue. 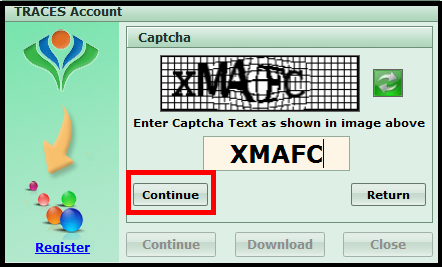 Now, you will be asked to enter the Captcha Code and Continue. On continue, the PAN will be verified and the details of verification will be displayed on the screen. Else, the invalid message will be displayed. In both cases, the details will be copied back to the Deductee/Employee master screen for reference. Similarly, select the option NSDL and click on Verify PAN to verify the details. The PAN will be verified and the information on the validity of PAN will be displayed on the screen. 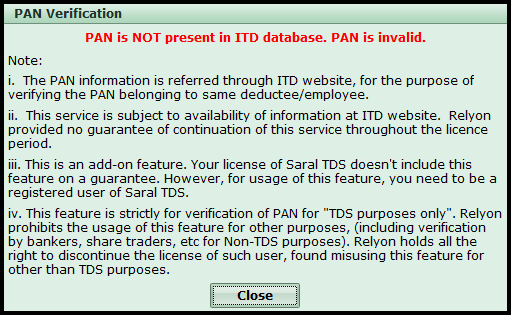 Note: Through NSDL validation only the validity status of the PAN can be identified. After saving the record, in case of valid PAN, the record will be highlighted in green colour and if the PAN is Invalid, the record will be highlighted in red colour. To verify the PAN of all the Deductees/Employees, you can go for Bulk PAN Verification. This also is done at two portals, TRACES & NSDL. 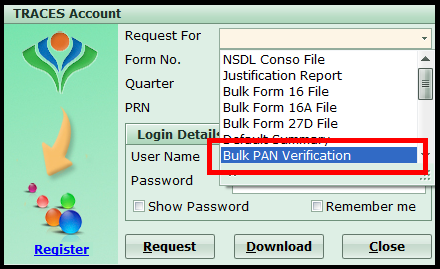 In the drop-down list of Request For, select Bulk PAN Verification option. 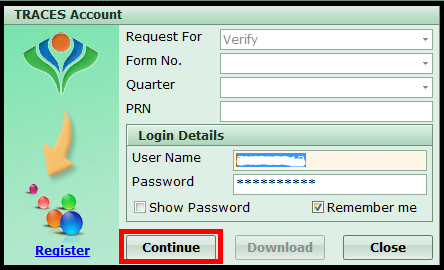 Enter the login credentials for TRACES account and click on Verify. Next, enter the Captcha Code and continue. The Bulk PAN verification window will be displayed. 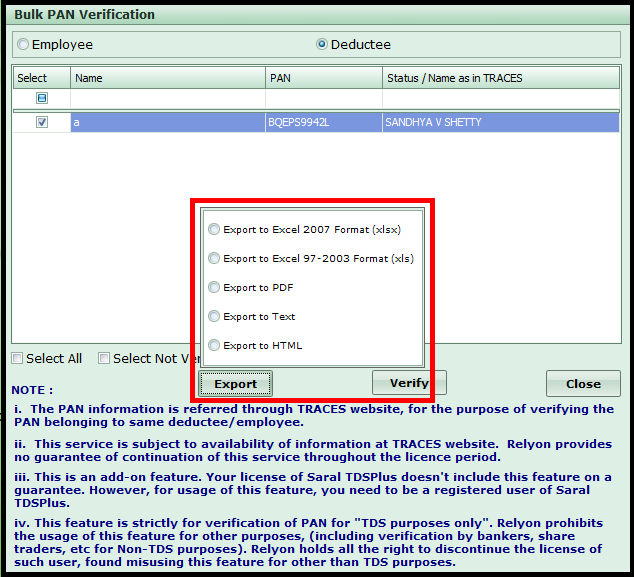 Select Employee to verify the Employee Master PAN details or select Deductee to verify the Deductee Master PAN details. On selecting the required, the list of details will be displayed. 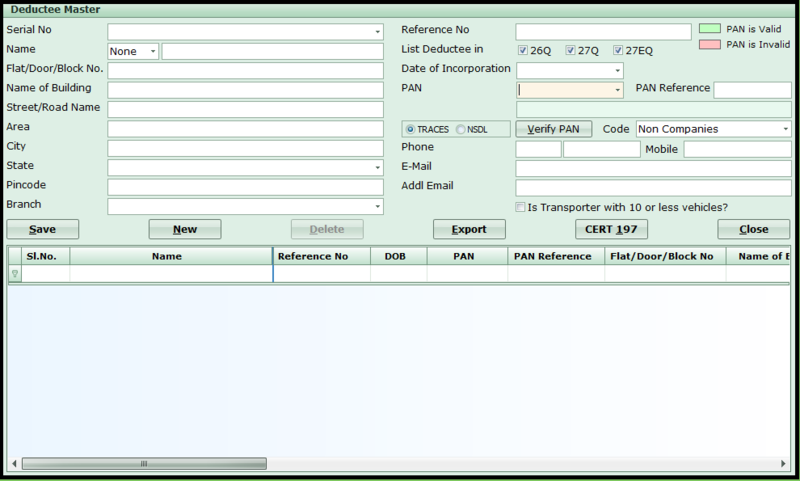 Select the records for which PAN has to be verified and click on Verify. To select all the records click on Select All and to select the record which is not verified, click on Select Not Verified. On verification, the name of the PAN holder as in TRACES will be displayed against the PAN. If you want to export the details to an Excel/PDF/HTML, click on Export. Here, select the required format. The details will be made available in the selected format. This is the process to verify the PAN of an Employee/Deductee in bulk or one-by-one. Let us know your opinion by commenting below.